Until we found out they contribute to around 30% of a homes water and energy expenses, that’s more than stoves, lighting, dishwashers, washing machines and dryers, they use the most water in a home and produce a lot of waste water which further increases utility expenses, all up hot showers costs a lot to run and if long showers are a problem in your home these figures could be much higher resulting in hundreds of dollars in expenses annually all of which is money down the drain. Data based on energy and water usage in New Zealand homes. BRANZ heep and weep report. Retrieved from http://www.branz.co.nz. The Heinrich (2006 Residential Water End Use Literature Survey) revealed that average shower times in a sample of New Zealand homes were 8 minutes and 0.7 showers per person per day, while average shower flow rates for low pressure hot water cylinders were 7 litres per minute and high pressure 15 litres per minute. Many of us living with families or in shared housing can’t always keep an eye on long shower times, but by simply installing a Showerguard Shower Timer it frees up your bathroom by setting a limit and eliminates those cold showers by letting everyone get their fair share of hot water. Once installed Showerguard works by stopping the flow of hot water to your shower after a pre set shower time between 2 to 20 minutes. In the last remaining minute Showerguard sends a quick pulse of cool water to remind you that only 1 minute is remaining then a second pulse 30 seconds later. 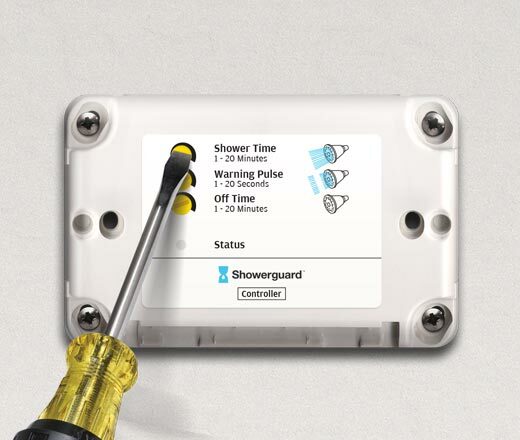 After a shower time is reached Showerguard turns off the hot water for a pre set waiting time then resets to let someone else have their turn. Showerguard works automatically in the background with no adjustments or maintenance, limiting long showers and reducing excessive hot water flow rates to a comfortable 7 to 10 litres per minute resulting in hundreds of dollars of savings annually. In New Zealand households the average person showers for 8 minutes once per day with a water flow rate of 7 to 15 litres per minute costing around 30% of the total household water and energy expenses. We looked at three families with longer than average shower times to illustrate how by simply installing a Showerguard Shower Timer they drastically reduced their water usage and expenses. 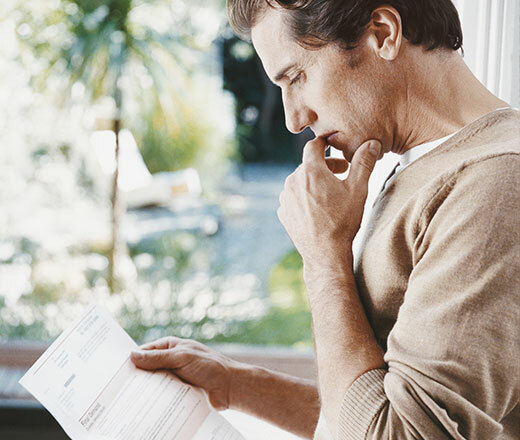 Turn on your shower and adjust to ensure your preferred temperature. Catch all of the water in a bucket for exactly 20 seconds. Pour the contents of the bucket into a measuring jug. Then multiply the total volume collected by 3, this will give you the water flow rate of your shower in litres per minute. they operate a backpackers in Hastings, New Zealand and with 20 guests showering for 15-20 minutes they consume a combined water usage of 5,250 litres per day and cost $380 per month in shower expenses. By simply installing a Showerguard Shower Timer to each of their guest bathrooms and setting a limit of 10 minutes they almost halved shower times and reduced water flow rates from 15 litres per minute to 11 resulting in a new water usage of 2,200 litres per day and a savings of $220 per month or $2,640 annually. they have two teenagers and live in Auckland, New Zealand. They shower once per day for around 18 minutes each with a combined total of 1,296 litres per day and $80 per month in shower expenses. 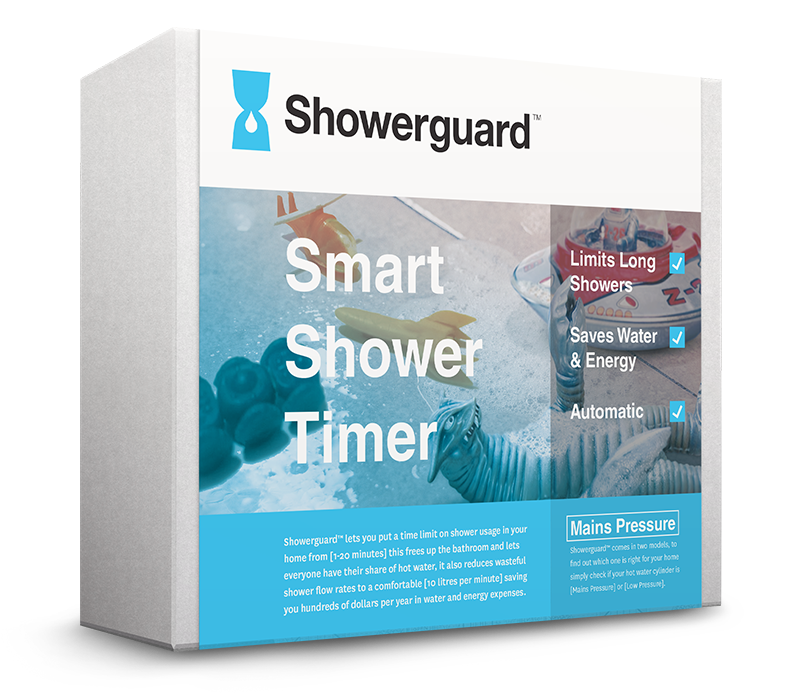 By simply setting Showerguard to 10 minutes they almost halved their shower times and water flow rate from 18 litres per minute to a comfortable 10, reducing their combined shower water usage to 400 litres per day and resulting in savings of $56 a month or $672 per year. with 3 grown children and friends who often stay over, they all shower once per day for around 15 minutes each and consume a combined water usage of 1,350 litres daily and $85 per month in shower expenses. By installing a Showerguard shower timer and setting a limit of 10 minutes they reduced shower times and water flow rates from 15 litres per minute to 10 resulting in a new daily water usage of 600 litres and water and energy savings of $37 per month or $453 annually.